Reliability has no known equal in service provision. Knowing you can rely on a service provider to deliver and still take its user’s best interests into consideration is priceless. This isn’t particularly true in the case of Zoho. Besides applying surprise changes to their pricing, expect calls over service related issues even from clients on paid plans. Let’s look into Zoho Mail pricing and its nasty abrupt changes. We often convince our clients to ditch the cPanel/WebMail configuration. 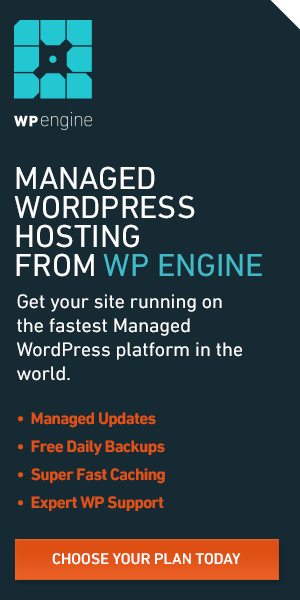 VPS options are fast becoming affordable. They provide huge benefits for both website hosting and online storage. Our recommendation was Zoho Mail as the go-to business email provider, thanks to their awesome free package. Until recently, Zoho offered up to 125GB of free email storage so the recommendation was easy. It came as a surprise when Zoho (without warning) canceled their referral program. This was after we had already achieved the highest number of bonus users available through the program. Luckily for us, we were still well within the initial free 25 license limit. I would hate to imagine what users who had already applied the bonus licenses went through. Did they lose some of their accounts? The worst was still to come. Zoho Mail Pricing Blunders – Where it all began. Sometime in the first quarter of 2018, again without notice, Zoho reduced the number of accounts available in the free package. The free package offers 20% of what was available before, a reduction from 25 accounts to 5. This change is Zoho’s worst yet. Why? Well, POP and IMAP access for free accounts is no longer an option. Emails are only accessible through the Zoho Mail mobile app or the browser. Zoho has since released the Zoho Mail Desktop App which works like other desktop email sync clients like Microsoft Outlook. This hasn’t done much in the way of convincing our prospects that the free plan is good enough for their entry level needs. We are finding ourselves at a loss to explain the value to our clients. Clients don’t see why they should give up POP/IMAP access, which they had on cPanel. This is despite the other benefits including the 5GB storage available for every user in the free plan. The number of clients requesting to have emails stored on their VPS servers instead has increased. Our clients seem to be okay with the trade-offs of such a setup, as long as there’s POP/ IMAP access. Zoho must have known this. Did they honeypot their partners into pushing their product offering unaware of the nasty changes in store? This was to be the point at which our relationship with Zoho as Partners, would almost come to an end. Nothing comes close to having to explain to a client why the quote you offered is going up. From US$2 per user per month (billed per year), Zoho has bumped it to US$3. This, besides the decrease in free accounts, means clients will definitely be on-boarded onto the paid plans. This is a very difficult conversation to have with a client. Zoho has no problem putting their Partners in these types of awkward situations because it gets worse. The quality of service has also gone down. Of client calls and complaints. To be frank, Zoho Mail pricing and service delivery no longer go hand in hand. Did the changes in pricing intend to help them improve their service delivery? This is yet to happen. No one looks forward to getting calls from clients for days on end, complaining about the same issue. This is the case with most of the clients we’ve on-boarded onto Zoho Mail. The time we’ve spent resolving email related issues via TeamViewer is absurd. What happens when the clients decide enough is enough? Zoho might survive the loss of business, but what happens to the partner with a reputation to repair? That Zoho Mail pricing should be better thought out and met with quality service is not up for debate. When compared to similar services like Microsoft’s Office365 and Google’s G-Suite Apps, Zoho Mail is the clear underdog. But with every day, it becomes more clear why this is the case. With such absurd changes and poor service, it’s safe to say that Zoho is no longer as competitive as it was before. Update 1 (26/11/2018): Bonus users are still intact. After investigation the issue about the bonus users, we found out that we have the 25 bonus licenses in our license count. We are yet to see if the licenses will be available for use.